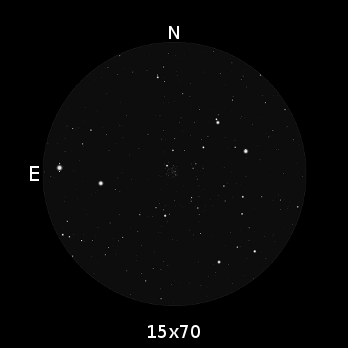 Charts for 100mm Binocular (2.5° aperture circle). Click on a chart to print it. Place Abucens (? 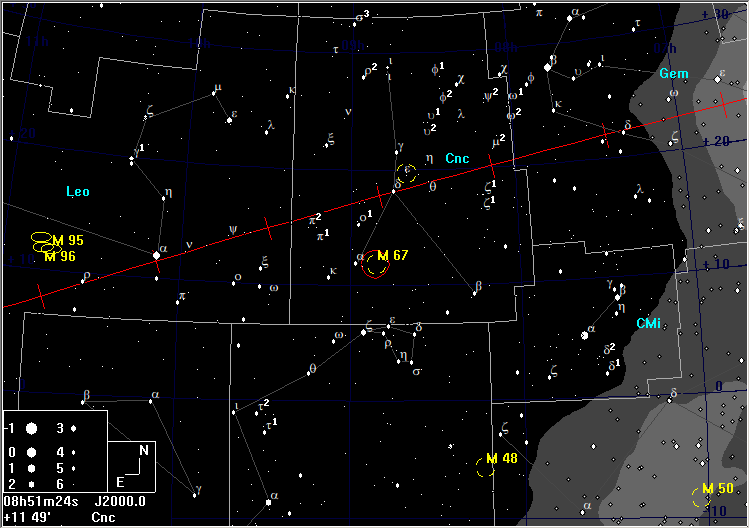 Cnc) at the E of the field of view, and M67 will appear near the W.
Although relatively few stars are resolved in big binoculars, this is a large, bright cluster with many stars that are too faint to be seen but which contribute to the nebulous glow. 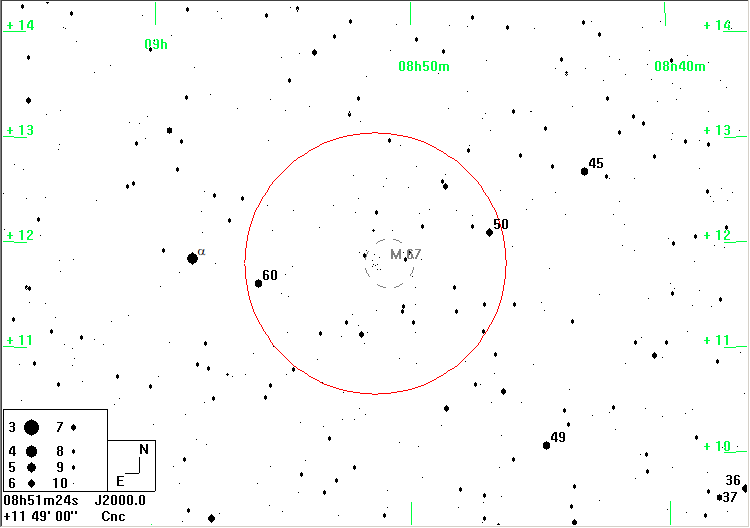 It is a curiosity in that, at an estimated 4 billion years old, it is older than usual for an open cluster. Sorry, there is no "what you should see" image for your selected aperture. We are showing you the nearest available one.